The two-year Draped Bust Small Eagle half dollar design type, bearing the date 1796 or 1797, is one of the three keys to completing a collection of early U.S. type coins (the others are the 1796 No Stars and 1808 quarter eagles). 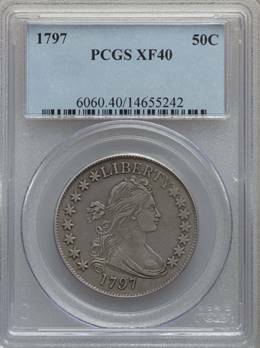 The scant mintage of 3,918 pieces and survival of about 300 examples affirm the key status of the 1796-1797 half. 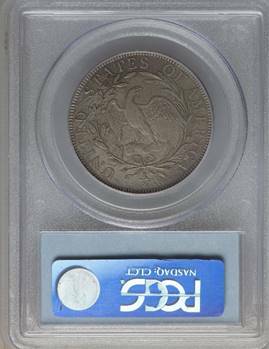 Both dates are necessary to complete a date collection of early half dollars, and no type collection can be considered complete without the presence of a Draped Bust, Small Eagle half. It is a major challenge to locate an original specimen in any grade. The PCGS population stands at just 2 with 18 higher. Listed at $145,000 in the PCGS price guide.